Recent declaration by the Kenya Civil Aviation Authority that it owns the plot occupied by William Ruto’s Weston Hotel along Langata Road is raising eyebrows as two leading banks may lose money granted to the hotel for its construction. 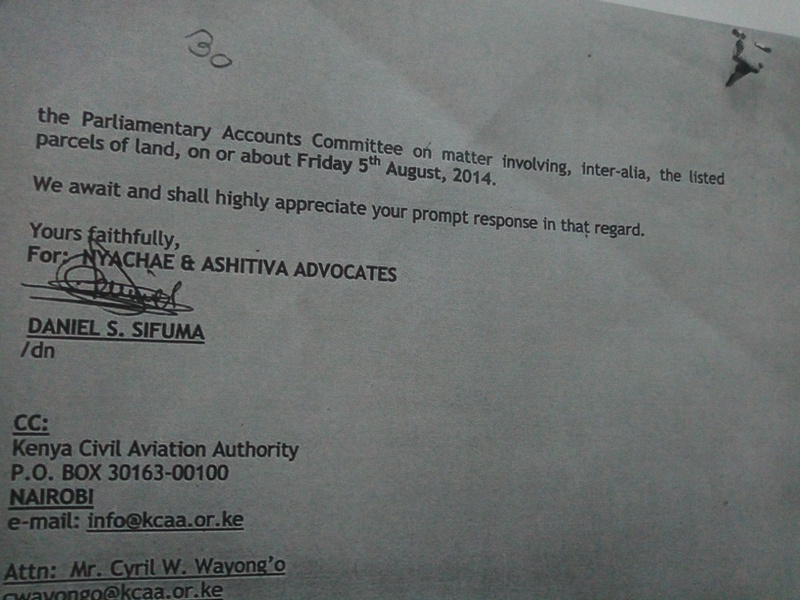 signed by lands registrar Sarah Chelimo Maina on December 8 2011. 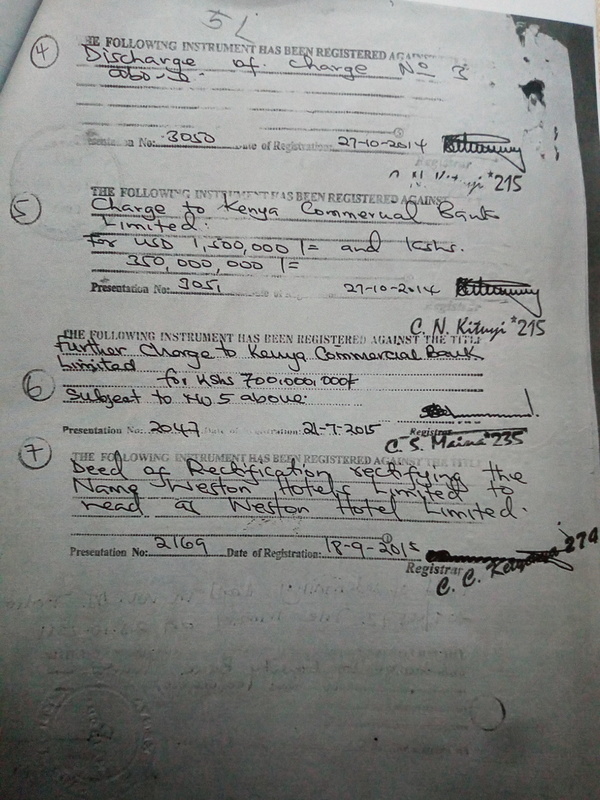 KCB according to confidential documents we have, granted the hotel with three loans, the first two of Sh150 million and Sh350 million on October 27 2014 with the documents being processed and signed by a land registrar Carolyn Kituyi who is among individuals charged recently at anti-corruption court in Milimani over the SGR land in Embakasi for authorising payments amounting to Sh314 million to individuals with fake land documents for the SGR. 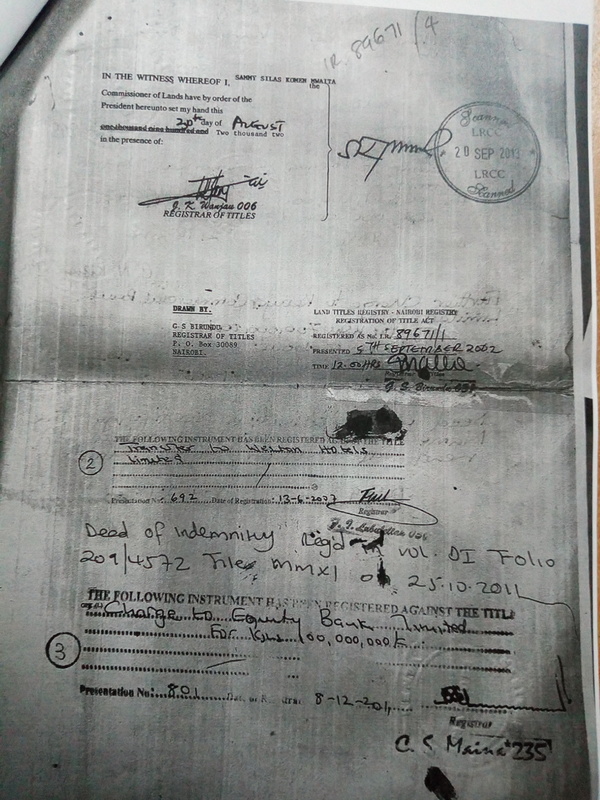 Another Sh700 million was given to the hotel on July 21 2015 by Kenya Commercial Bank through the authorisation of a land registrar Sarah Chelimo Maina who appended her signature on the documentthat made it easy for the bank to release the funds to the hotel which now has a contest with KCAA. The value of the hotel is over Sh600m. 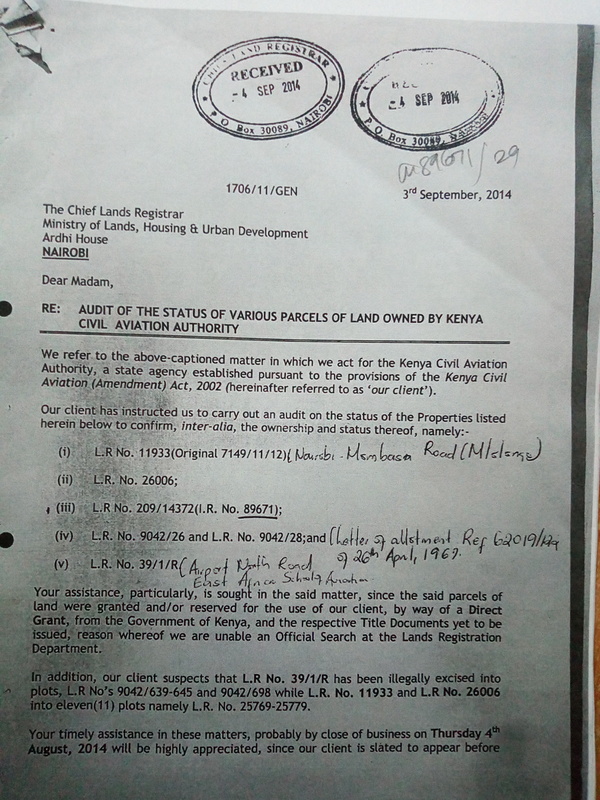 few weeks ago that the plot on Langata Road in Nairobi is among hundreds of parcels that it wants to reclaim. in court with several cases. I can confirm to you that Weston hotel stands on part of the land that belongs to us,” Kibe said. Leading economist David Ndii had earlier on tweeted asking Uhuru Kenyatta to demolish the hotel. yourself in,” Ndii said in a tweet tagged to the DP that went viral on social media. 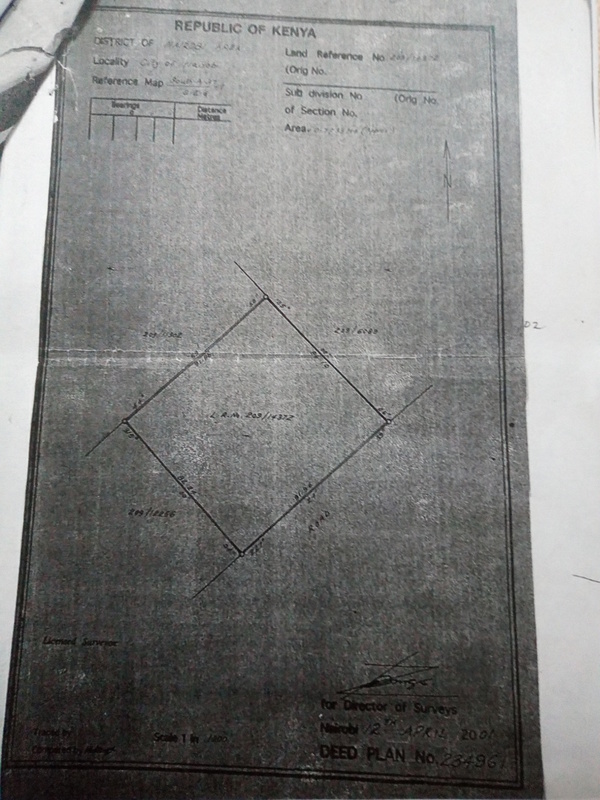 The 0.773ha plot LR No 209/14372 is opposite Wilson Airport on Langata Road and was formerly the site of the KCAA central stores. If demolished which is unlikely as the parties can cut a deal, the two banks would lose as the title deeds have been surcharged. According to sources at Ardhi House, the two registrars Chelimo and Kituyi who are said to be close friends are blamed for authorizing the payment of the loan to the hotel without carrying out due diligence. Chelimo through the search she made the government was able to pay businessman Francis Mburu Sh1.5 billion for the land transaction of a land belonging to the public in Ruaraka. to grant loan for Weston Hotel. Another land registry officer, Clarah Ketyenya, appended her signature in a title deed rectifying the name Weston Hotels Limited to read as Weston Hotel Limited. What is worrying many Kenyans is what will happen to the loan that was extended to the hotel if the government repossesses the land that the hotel sits on and what action will the banks take to get back their money. Committee had referred the Weston transfer to the National Land Commission for investigation with a view to restitution.